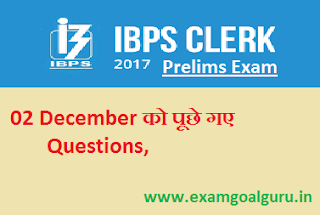 IBPS Clerk Prelims Exam 2017 आज पहला दिन है आज यानी 02 december को IBPS Clerk की परीक्षा खत्म हुई है . आज विभिन्न छात्रो ने इस परीक्षा में भाग लिया है . कुछ लोगो की परीक्षा कल है और कुछ लोगो की 09 december को है तो जिन लोगो का exam अभी नहीं हुआ है उनके लिए यह पोस्ट बहुत महत्वपूर्ण है . 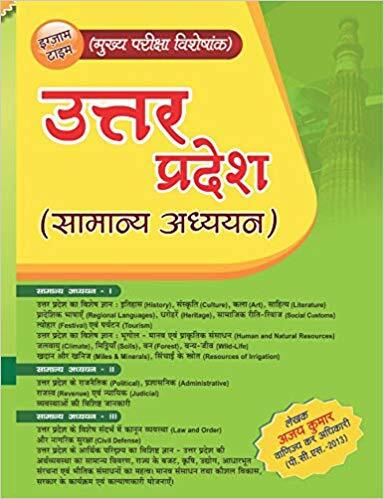 क्योकि इस पोस्ट मै 02 december को IBPS Clerk 2017 Prelims exam के बारे में Analysis और ऑनलाइन exam में आए हुये कुछ Questions को बताने वाले है . यह पूरी परीक्षा का स्तर मध्यम था . कुछ प्रश्न बहुत आसन थे और कुछ थोडा मध्यम था . Q.- तीन positive नंबर में पहले और दुसरे का अनुपात 3 : 4 है . दुसरे और तीसरे का अनुपात 5:6 है और दुसरे और तीसरे का product 4320 है . तीनो संख्याओ का क्या योग है ? Q.- Average age of A and B, 2 years ago was 26. If age of A 5 years hence is 40 yrs, and B is 5 years younger to C, then find difference between age of A and C? Q.- Average of X, Y, Z is 24, X:Y = 2:3, X+Y = 60, then find X-Y=?Length of rectangle is 80% of diagonal of square of area 1225, then find area of rectangle if it's perimeter is 94√2 . Q.- The annual salary of Arun is 7.68 lac. If he spends 12000 on his children, 1/13th of rest in food, 8000 in mutual funds, then find the monthly saving he is left with. Q.- A can do a work in 24 days, B is 20% more efficient than A. If C can do the work in 10 more days than B, find days taken by A and C together to complete the work. Q.- The ratio of Milk to water is 5:4, if two liters of water is added, the ratio becomes 10:9, then find the new amount of water in the mixture. Q.- The ratio of the speed of a boat downstream and speed of the stream is 9:1. If the speed of the current is 3 km per hr, find the distance traveled upstream in 5 hours. Q.- A sum of money is invested in two schemes. For scheme A, 'X' principle with 8 % per annum and for scheme B with 'X+1400' principle for two years and their difference is 189, then find the value of X? Q.- Length of the rectangle is 80% of diagonal of area 1225, then find area of rectangle if it’s perimeter is 94root2 . Q.- Two items A and B cost price equal , item A sold at 40% profit and selling price of item A, total profit is 189 . find the cost price of A ? 2. 8, 4, 4, 6, 12, ? 3. 310, 220, 148, 92, 50, 20, ? A B C D E F G H sitting in a line some facing north some south. Only 2 people sit to the right of A,A faces north. B sits 3rd left of A.only 1 person sit between B and F.F sits to the immediate right of E.only 1 person sit between E and H.both the immediate neighbor of B face the same direction.C is 3rd to the left of F.B faces opposite direction of A.G does not sit extreme end. 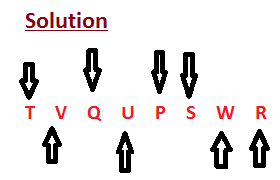 D and E face same direction.both G and C face opposite direction of H.
8 friends P Q R S T U V W seating straight line . some facing are south and some facing are north . दोस्तों मै उम्मीद करता हु की IBPS clerk 2017 prelims exam में आए हुये Questions को पढ़ कर अच्छा लगा होगा . आप मेरे साथ इसी तरह लगातार बने रहिये . मै आगे भी कुछ इसी तरह पोस्ट शेयर करने वाला हु . आप मेरे फेसबुक को लाइक जरुर करे और इस पोस्ट से related कोई भी Questions हमें comment बॉक्स में बताये .